For decades, there have been rumors circulating that Microsoft is going to discontinue Solomon. To back up these rumors, people would point to the fact that there were fewer and fewer SL breakout sessions each year at Convergence. And yet, Convergence is now dead and Microsoft Dynamics SL is still alive. In this blog post, I’ll examine what’s true and what is not. With more than 14,000 customers running their businesses on Microsoft Dynamics SL, Microsoft has no reason to retire SL. Those 14,000 businesses, many with project functionality requirements, provide an annual maintenance renewal stream for Microsoft. 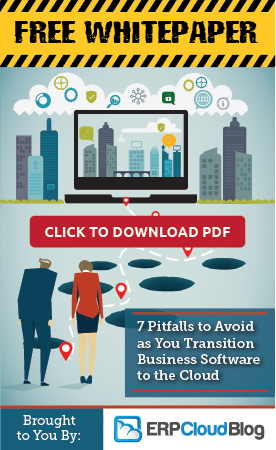 Additionally, retiring a solution could precipitate a loss of customers especially those that require powerful project and multi-company functionality. After all, it’s the Microsoft Partners who do all of the heavy lifting – selling, implementing and supporting Dynamics SL. 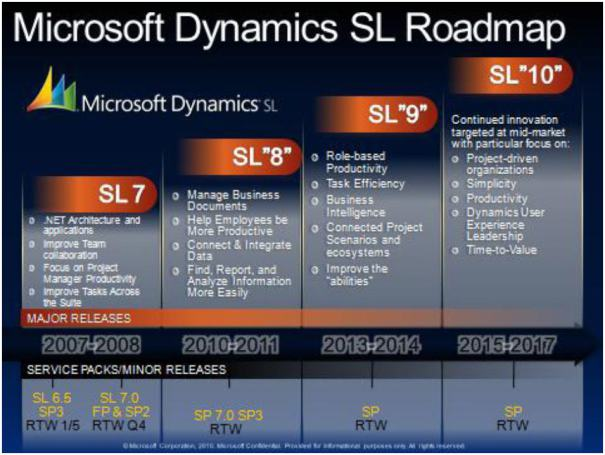 Of course, Microsoft knows about the persistent rumors regarding SL and has finally released its roadmap for the future of Dynamics SL. Even though the numbers and the roadmap tell us that Microsoft in all likelihood will continue to support Solomon, this won’t stop the rumors to the contrary. Unfortunately, Microsoft’s competitors, and even some Microsoft partners, use these rumors to their advantage. It’s called FUD. FUD stands for Fear, Uncertainty and Doubt. It’s a tactic used by some sales people. In the case of Solomon, FUD is used to convince potential clients that SL is not a good long-term choice. Another unfortunate fact is that FUD is very difficult to ignore. The truth is that Dynamics SL remains the best choice for project-based companies. To this day, none of the other Microsoft Dynamics ERP products – not Dynamics GP (Great Plains), not Dynamics NAV (Navision), and not Dynamics AX (Axapta) – have yet to include the same level of out-of-the-box functionality for project-based companies that Solomon has had for decades. Each of the Microsoft ERP products has its place in the Dynamics suite and SL is no exception. I think I’ve made a pretty good case for why Microsoft Dynamics SL is here to stay. So, if you’re a project-based company and need to track every aspect of each project – from expenses to resources and from billings to deliverables, you can read all about SL Project Management Software from Microsoft Dynamics here. I should also mention that Microsoft Dynamics SL is available in the cloud, as a hosted solution, and on premise. My company uses Solomon in Procurement. Please email me directly if you’d like to discuss further on a demo, [email protected]. My company has been using MS Dynamics SL7 on MS Server 2008 since 2010. We would like to move to a newer version of MS Dynamics and MS Server. Which would be latest or current versions to go to? Thanks for your message. I’ll reply to the email address you provided.